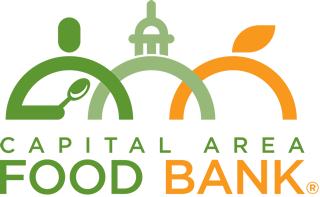 Working in the distribution center is a great way for volunteers to support the Capital Area Food Bank on the front lines of the distribution process. Volunteers provide the essential first step in getting food flowing to the men, women, and children we serve in the Greater Washington Metropolitan area. Volunteer opportunities are available in our DC and NOVA warehouses and involve sorting and packing donated food. Groups of 25 or more may be used to sort food donations on our motorized conveyor belt. Work is considered light to medium labor. Volunteers may also be asked to assist with packing bags and boxes of monthly supplemental groceries for the over 10,000 seniors served by our Grocery Plus and Senior Brown Bag programs, as well as bags of food for the 2,500 children who receive food through our Weekend Bag program, which ensures they won’t be hungry when school meals aren’t available. Other volunteer jobs include helping to repack the 15 million pounds of produce we distribute annually. Volunteers help us pack apples, greens, potatoes, and other produce for easy transportation and distribution to the community.